Clinical guidelines conflict on testing teens and adults whose symptoms point to a possible strep throat. A chief contention is whether negative tests result from a rapid analysis of a throat swab, done in a doctor’s office, should be confirmed through a follow-up laboratory culture. The rapid test detects certain antigens, one of the body’s efforts to fight off strep bacteria. A laboratory culture, in this case, is an attempt to grow bacteria from a throat specimen. It can double check for the presence or absence of Group A streptococcus bacteria, as well as a few other bacterial infections. A study published May 27 in Clinical Infectious Diseases indicates that performing a lab culture could help doctors and patients avoid both under-treating and over-treating sore throats. Several guidelines on diagnosing and treating Group A streptococcus sore throats in adults have been published by medical and scientific professional societies, including the College of American Pathologists and the Infectious Diseases Society of America. The study findings call into serious question clinical guidelines that rely only on the rapid test, according to Dr. Ferric Fang, professor of microbiology and laboratory medicine at the University of Washington, and senior author of the paper. About one in 10 of these patients has a strep throat. The rest are due to viruses or other causes. Although most cases of strep throat heal on their own, antibiotic treatment reduce symptoms decrease transmission to others, and can prevent rare but serious complications such as damage to heart valves. Accurately diagnosing that the sore throat is not bacterial is also important, Fang said. Antibiotics for a strep throat don’t work against a viral sore throat, and can produce harmful side effects not outweighed by benefits. Unnecessary use of antibiotics also contributes to antibiotic-resistance. Fang explained that rapid tests, while convenient, miss up to 1 out of 4 cases of strep throat. Some physicians will recommend a throat culture even when the rapid test is negative, if the patient’s symptoms seem to warrant it. Doctors check a patient with a suspected strep throat for tender glands in the neck below the ears, lack of a cough, difficulty opening the jaw, painful swallowing; oozing, swollen, tonsils; fever and a high white blood cell count. Despite the constellation of suspicious symptoms in the Centor score for strep throat likelihood, it is still difficult to distinguish a viral sore throat from a strep throat. However, if doctors depend simply on symptom presentation to diagnose, without any testing, the tendency is to over-prescribed antibiotics. 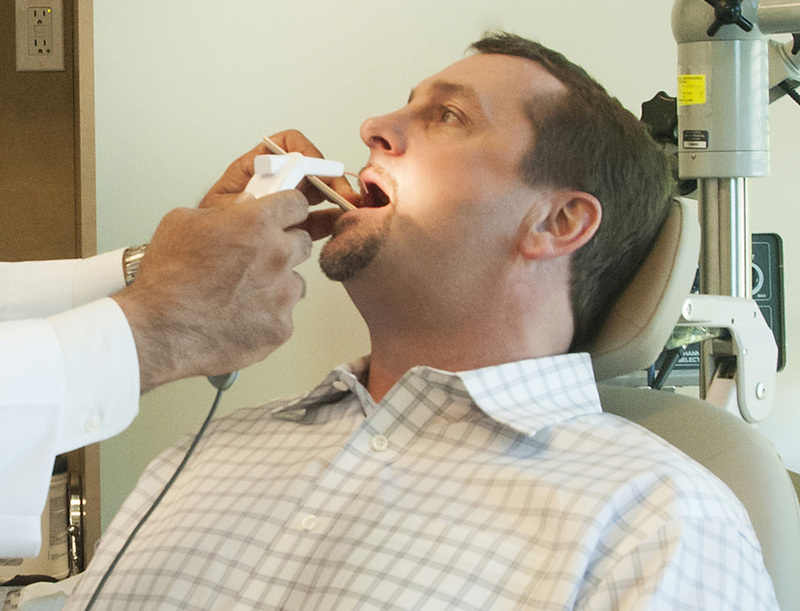 Doctors who rely just on the rapid test may end up undertreating strep throat. The controversy on diagnosing strep throat prompted Fang and his UW colleagues, Dr. Tanis Dingle, senior fellow in laboratory medicine, and Dr. April Abbot, assistant professor of laboratory medicine and director of clinical microbiology at UW Medicine, to review the anonymous records of more than 25,000 teens and adults seen for sore throats at Harborview Medical Center and University of Washington Medical Center in Seattle. The records went back 11 years. The researchers found that more than 1,000 patients whose rapid throat cultures were negative actually turned out to have strep in their laboratory throat cultures. “These cases would have been undetected if their doctors hadn’t performed cultures,” Fang said. Most of these patients had moderate to severe symptoms; a very few had serious complications such as a tonsil abscess or rheumatic fever. Most of the patients were given antibiotics. The throat cultures, Fang said, helped guide treatment decisions in half of the cases. From their results, the researchers extrapolated that, each year in the United States more than 250,000 patients with strep throat would not receive beneficial treatment if doctors followed those clinical guidelines that advise relying on the rapid test alone. The findings support those guidelines that mandate back-up lab cultures. The researchers declare no conflict of interests and report no funding sources for this work. Read the paper: Reflexive Culture in Adolescents and Adults with Group A Streptococcus Pharyngitis, appearing in the May 27, 2014, in the advanced online access edition of Clinical Infectious Diseases.